A nature writer's obsession with a 100-year-old cookbook leads him on a fascinating journey into the American wilderness. 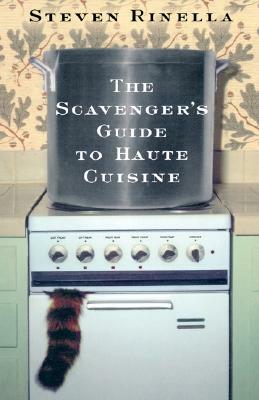 A hybrid of memoir, cookbook, and travelogue, and a love song to hunting and fishing and the American wild, The Scavenger's Guide to Haute Cuisine is about one man's quest to live off the land and recreate the recipes from Escoffier's Le Guide Culinaire, the 1903 magnum opus that still stands as one of the greatest haute cuisine cookbooks ever written. Nature writer Steven Rinella takes along his vegetarian girlfriend and a cast of eccentric friends and embarks on a year-long journey across America, trying to locate the bizarre, often esoteric ingredients of Le Guide Culinaire, such as animal organs and the surprisingly elusive street pigeon. His adventures take him fishing for stingrays on a Florida beach; skinning eels with an upstate New Yorker who keeps an emu as company; hunting mountain goats on the snow-covered cliffs of Alaska's Chugach Range; and flying from Montana to Michigan to collect a fifteen pound snapping turtle his mother found on the highway. Originating in an article Rinella wrote for Outside magazine, The Scavenger's Guide is written in prose that's as clear and pleasing as a mountain stream and is ultimately an ode to mother nature. The result is a narrative that opens up a deeper understanding of the things we eat and how the natural world affects the way we live.